Want to see these locations on a map? Well, we made one. Where do MI5 go to fix their cars? Unsurprisingly, they don't just take them to the nearest KwikFit, they have a specialised team of mechanics who service them, 'supe' them up and add surveillance kit etc. Up until the 1970s, there was an MI5 garage doing such work in a road just off St John's Road in Clapham Junction, just behind where Marks and Spencer is today. This location did not stay a closely guarded secret, however. 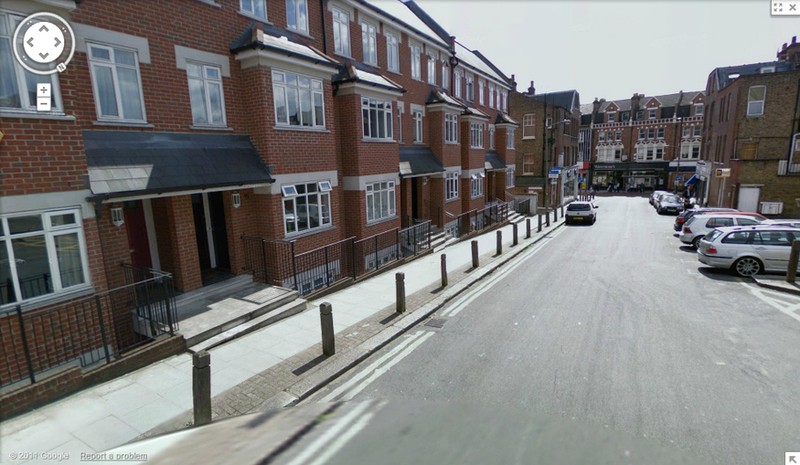 Surveillance teams discovered that the premises were being monitored by Russian KGB spies, so MI5 decided to up sticks and moved the garage to Streatham High Street – before that was also discovered. It is now located ‘somewhere in west London’. Entrance to the Chancery Lane deep level shelter, Furnival Street. 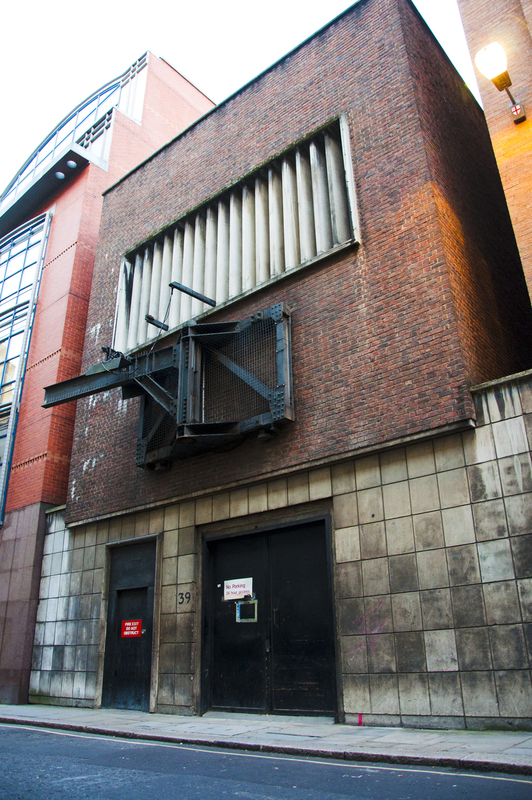 Note heavy lifting hoist and ventilation shaft above a non-descript fire exit on a city street. An unassuming fire escape on a central London street is the unlikely setting for a location that played a key part in resolving the Cuban Missile Crisis. Rewind a few decades to the second world war, when a set of tunnels were constructed near Chancery Lane as air raid shelters for up to 8,000 people. The tunnels, which are over 100 feet deep, were never used as shelters, but were taken over by the Inter Services Research Bureau branch of MI6. The warren-like network of tunnels was used as a telecommunications hub and employed in the transmission of messages between Kennedy and Khrushchev at the height of the missile crisis. The tunnels have since been decommissioned. The entrance to the tunnels, found on Furnival Street off High Holborn, is marked by nothing more than a non-descript fire exit. However, a heavy-duty hoist and ventilation shaft above give the game away for those in the know. CCTV camera on Furnival Street - note the inclusion of 'national security' in reasons they want to film you, not something you usually see. 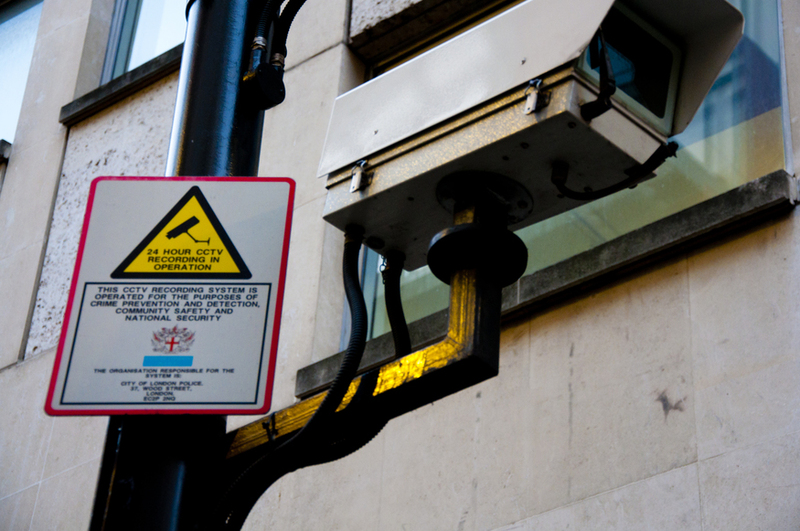 Interestingly, the sign on the CCTV camera at the top of Furnival Street indicates that footage is recorded "for the purposes of... national security" – a sure giveaway that something fishy was going on here. 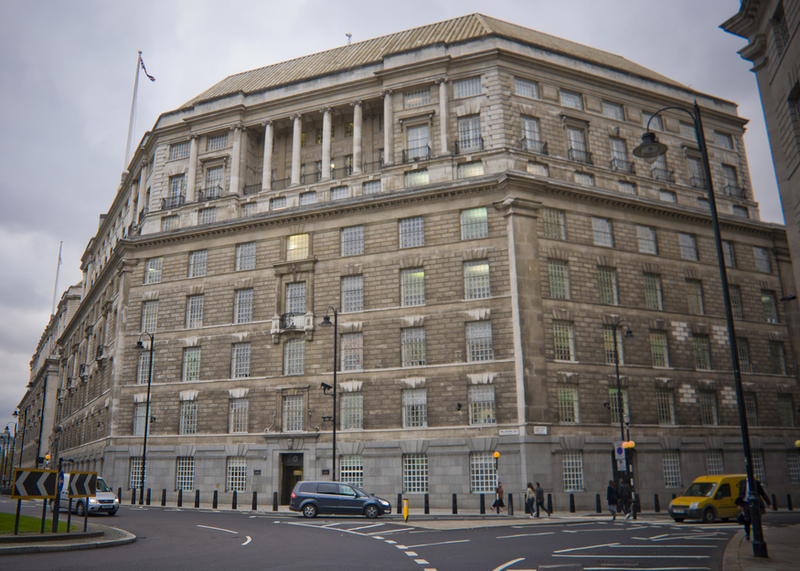 Thames House is the current HQ of MI5 – the UK's national security intelligence agency. Found on Millbank at the end of Lambeth Bridge, Thames House was once occupied by many tenants – including chemical company ICI. It consisted of two separate buildings, linked by an archway which was filled in at a later date. 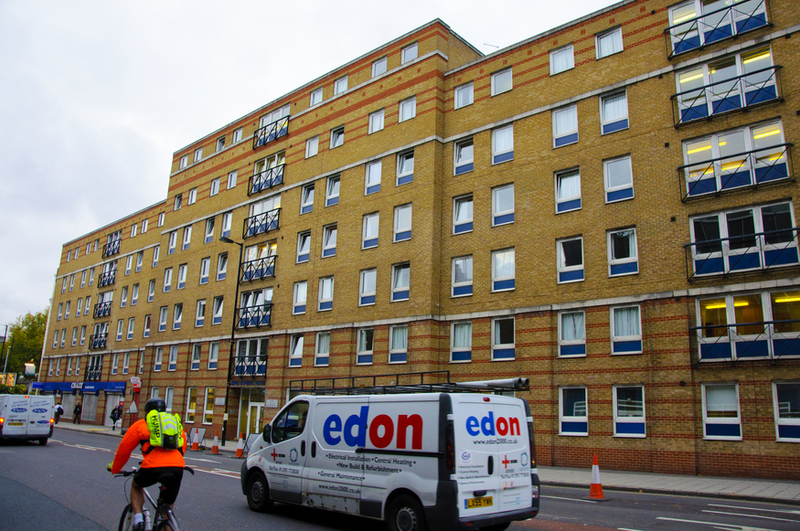 Originally built on the site of slums wrecked by the 1928 Thames flood, the property was purchased by the government in the late 1980s to consolidate several office locations for the security service. After an extensive refurbishment and some structural changes, the Grade II listed building was eventually opened by then Prime Minister John Major in 1992. Interestingly, the building used for the exterior of Thames house in Spooks is actually Freemason’s Hall, which can be found on Great Queen Street in Covent Garden. 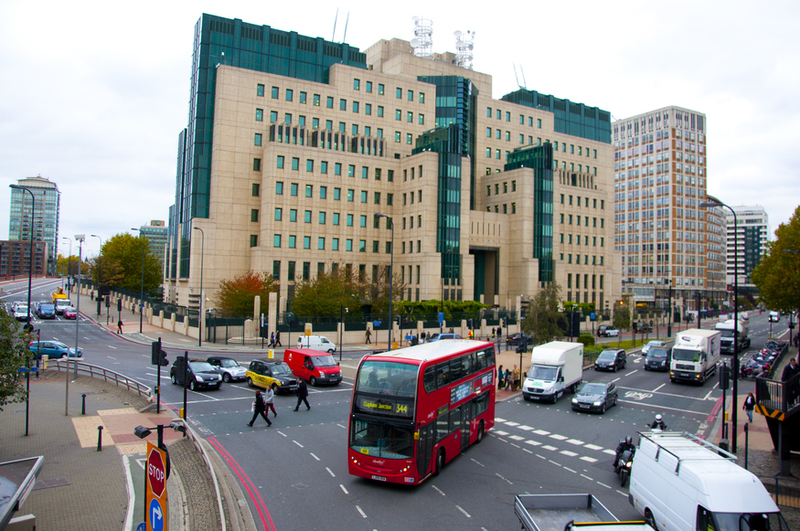 Apparently nicknamed ‘Legoland’ by some working within its walls, 85 Vauxhall Cross houses the HQ of the Secret Intelligence Service, commonly referred to as MI6. The building was designed by Terry Farrell, the chap who designed Charing Cross station as well as the Newcastle Quayside. Costing £152.6m (£135m for the land and construction and a further £17.55m for ‘special requirements’ including bomb blast resistance and — rumour has it — a tunnel to Whitehall) the building was opened by the Queen in 1994. In September 2000, the resistance to bombs came in quite handy when an anti-tank rocket fired by the Real IRA struck and eighth floor window causing only superficial damage. MI6 were previously based near Lambeth North station. In 1969, Georgi Markov defected from his native Bulgaria to London, getting a job as a journalist on the BBC’s World Service, which gave him an opportunity to broadcast his views on his homeland. It’s fair to say that his musings did not go down too well in the east and the decision was taken to permanently shut him up. 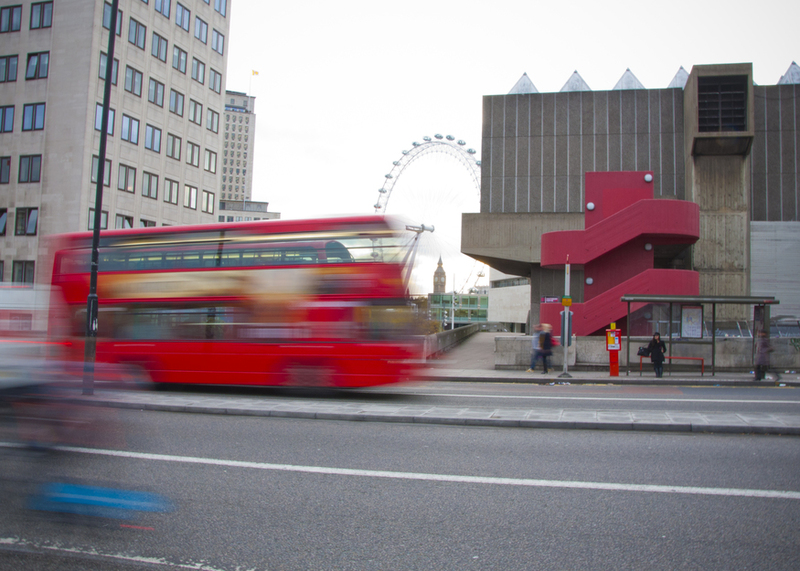 On 7 September 1978, Markov was standing at a bus stop on Waterloo Bridge waiting for his ride to work when a stranger bumped in to him and dropped his umbrella. The stranger then mumbled an apology in a foreign accent before jumping in a cab – vanishing in to the capital’s traffic. Markov felt a stinging pain in his thigh but thought nothing more of it. It later transpired that, during the incident, Markov had been shot with a pellet containing the deadly poison ricin, probably fired from an umbrella gun. Ricin has no known antidote and Markov was dead within four days. The film adaptation of John le Carré’s novel Tinker Tailor Soldier Spy centred on ‘The Circus’, the headquarters of MI6 in Cambridge Circus, central London. Despite actually being a fictional HQ (MI6 have never been based here to the public knowledge), the ornate structure of the building and the iconic nature of the novel/film has prompted its inclusion in this top 10. Le Carré (originally born David Cornwell) worked for both MI5 and MI6 and penned several novels based on his experiences in the services. In the film, our hero and retired deputy head of MI6, George Smiley (played by Gary Oldman), is enlisted to find a mole at the very top of the Circus who is feeding information to the KGB. The plot is loosely based on the case of the Cambridge Five scandal in the 1950s and 60s. Blythe House in Blythe Road near Kensington Olympia played the role of the Circus in the film adaptation, which also stars Oscar winner Colin Firth. 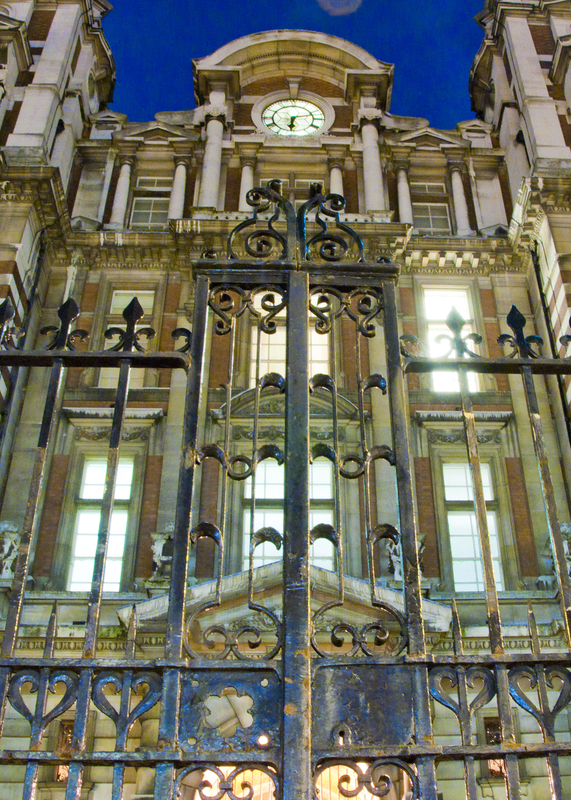 Originally the site of the Post Office Savings Bank and now a storage unit for the Science Museum, the V&A, the British Museum and the Wellcome Trust, the ornate redbrick Victorian architecture and iron turnstiles provided the perfect impression of a Cold War period intelligence installation that was required for location filming. At the height of the Cold War there were hundreds of Russian spies operating in London. The bustling capital was ideal for agents to ‘bump’ in to one another, seamlessly transferring packages in the blink of an eye. Another method of transferring intelligence was the rather sinister sounding (but not really that sinister at all) dead letter drop – or DLD to those in the know. 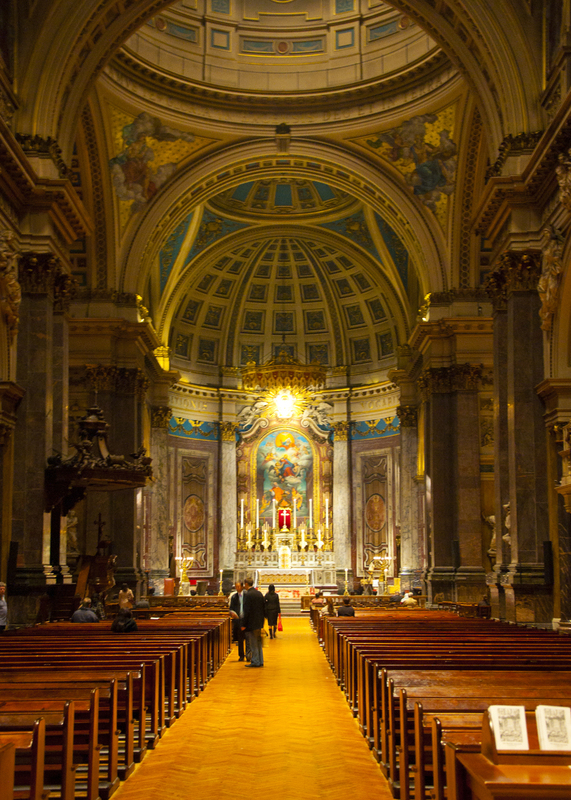 One favoured location for DLDs was Brompton Oratory, an Italian Renaissance-style Catholic church situated next to the V&A on Brompton Road. Spies would visit the church and place documents and/or microfilm behind one of the pillars near a statue, ready to be picked up by their KGB handlers. 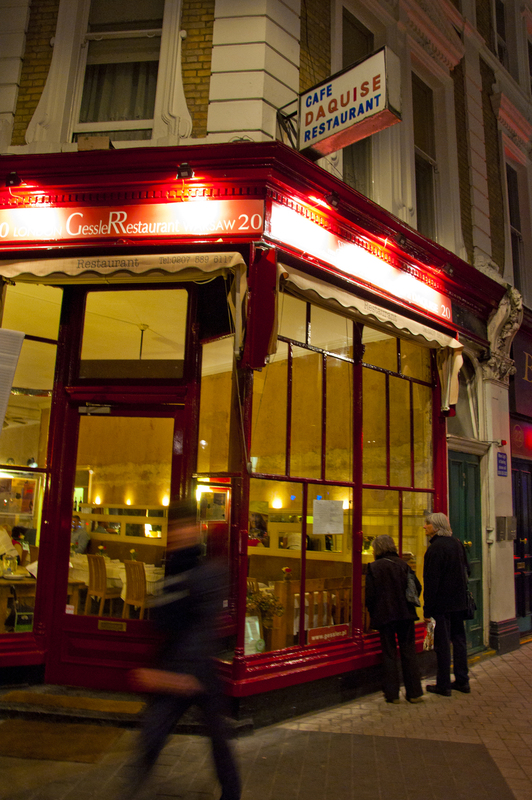 The location was ideal with its narrow winding lanes leading off Brompton Road and proximity to the Russian Embassy. If Russian spies felt they were being followed, they would enter the Harrods store down the road, which has many exits and flights of stairs, and is perfect for losing a tail. Alexander Litvinenko was a former KGB and FSB officer who found political asylum in the UK. Litvinenko had previously alleged that the Russian secret service was behind bomb attacks on apartment buildings which helped legitimise the war against Chechnya (and subsequently helped Putin to the Russian Presidency). His accusations did not go down well. 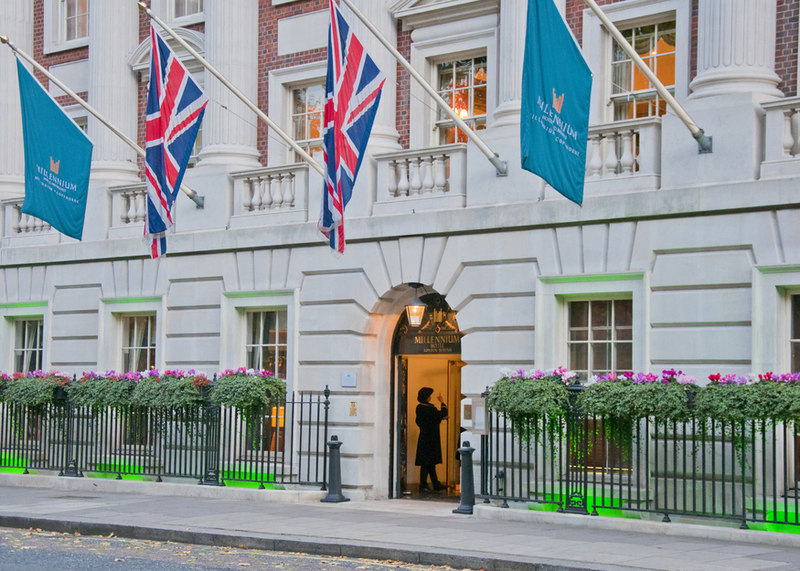 On 1 November 2006, Litvinenko met fellow ex-FSB man Andrei Lugovoi and Italian ‘nuclear waste disposal’ expert Mario Scaramanga in Millennium Hotel in Grosvenor Square, where he enjoyed a pot of Green tea. Little did he know, his tea had been deliberately contaminated with radionuclide polonium-210. Litvinenko became ill and later died in University College Hospital, 26 days later. When detectives investigated, a trail began to form across London with traces of polonium found in several locations including the Emirates Stadium and the Itsu Sushi restaurant in Piccadilly. After a public inquiry, Judge Robert Owen said he was sure Lugovoi and Dmitry Kovtun poisoned Litvinenko. Lugovoi returned to Russia shortly after the incident and in his absence was charged with murder. An extradition request was sent to Russia, which was subsequently refused. Lugovoi is now an MP in the State Duma and is therefore immune from prosecution under Russian law. Where do spies learn the tricks of the trade? At spy school of course. Until the 1990s, such an establishment stood opposite Southwark police station on Borough High Street in an MOD building. As well as being London’s first Polish restaurant and the unofficial headquarters of Edward Raczynski, the Polish President-in-Exile from 1979-86, Café Daquise was also a busy place for spies to meet, due to its location near the Russian embassy and dead letter drops like Brompton Oratory (see above). One rendezvous that regularly took place here was that between Christine Keeler, the call girl at the centre of the Profumo affair, and her handler/lover, Yevgeny Ivanov, a senior naval attaché at the Russian Embassy. It was alleged that Keeler was extracting information from Profumo, who was then Secretary of State for War, to pass on to the Russians during the height of the Cold War. The affair caused Profumo to resign, with then PM Harold MacMillan also jumping ship a month later due to ‘bad health’, reportedly contributed to by the events surrounding his Minister. Keeler also found fame posing in Lewis Morley's iconic photo, sat naked and astride a chair – a shot that has been replicated many times with other photographers and celebrities. The photo was also used on the front cover of the Charlatans classic album Tellin' Stories. At one point, it seemed that Café Daquise might be lost forever when a £110m scheme designed by architect Terry Farrell (who, as the more observant of you will remember from above, designed the MI6 building in Vauxhall) would have involved demolishing the whole block behind South Kensington Tube station. The scheme did not go ahead, however, and the café remains there today. Do you know of any spy sites around London? Tell us in the comments.